Professor Ron Gilgenbach, NERS chair, returned optimistic about recovery around Fukushima and the possibility that Michigan Engineering expertise could be of some service. He told LabLog about some of the highlights from Tokyo, the Miyagi Prefecture, and Fukushima City. In the capital city of Japan, Gilgenbach and fellow NERS faculty members, professor Zhong He and researcher Yugo Ashida, met with officials from the Ministry of Education, Culture, Sports, Science, and Technology. 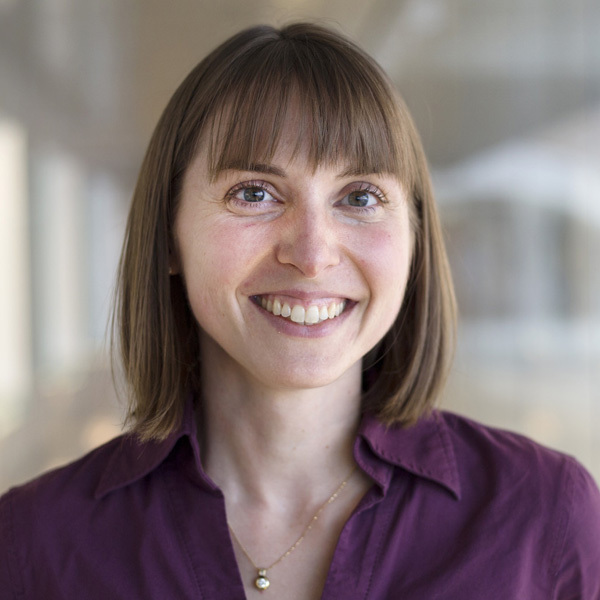 They considered how the gamma ray camera developed in He’s lab at U-M could aid in the cleanup by imaging the radiation in decontaminated areas, revealing any spots that need extra attention. At the University of Tokyo, the faculty toured the facilities and met with colleagues such as Professor Satoru Tanaka to discuss the future of nuclear energy, which remains the subject of a passionate national debate. 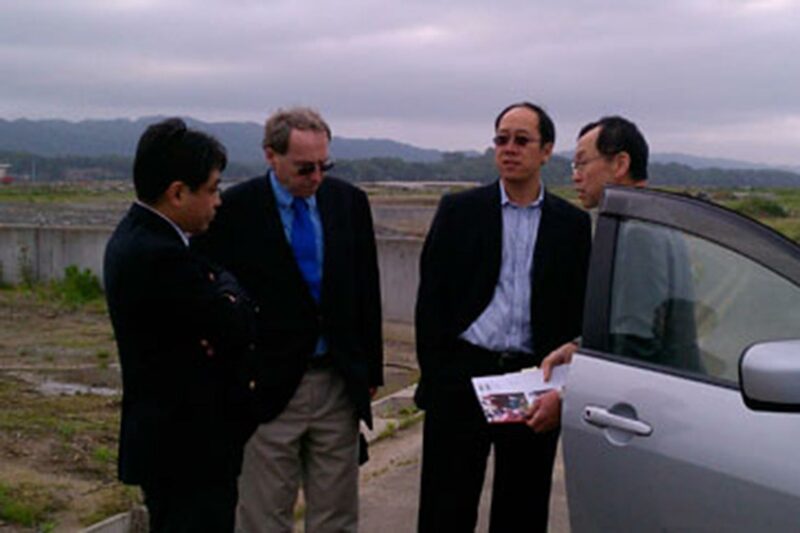 “Professor Tanaka is one of the top nuclear power experts in Japan,” said Gilgenbach. And of course, they couldn’t pass up the opportunity to connect with U-M alums who live and work in Tokyo. Ukrainian Orthodox priest Paul Koroluk, who studied nuclear engineering at U-M in the mid-1980s, arranged dinner with NERS alums and an event with some 30 U-M alums from all disciplines. Wataru Mizumachi, who earned his Masters’ degree from NERS in 1968 and went on to become a chair of the International Atomic Energy Agency’s Information System on Occupational Exposure, spoke about the status of Fukushima Daiichi reactors and their impact on nuclear power worldwide. 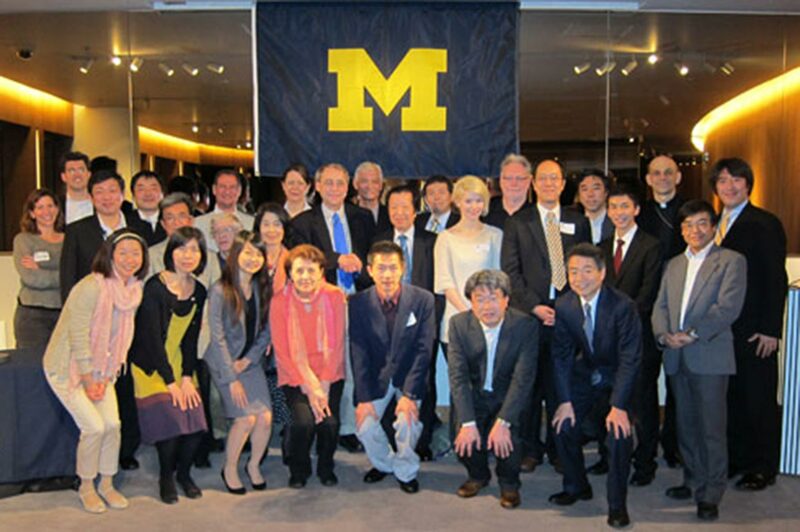 IMAGE: The Wolverines of Japan pose for a photo at the U-M alumni event. Speaker Wataru Mizumachi, stands in the center, wearing a teal tie. Ron Gilgenbach stands to the left of Mizumachi while Yugo Ashida crouches in front of him. Zhong He stands toward the right, wearing a yellow checked tie. Organizer Paul Koroluk wears a priest’s collar, second from the right of the back row. Gilgenbach, He, and Ashida left their fellow Wolverines behind for a sobering drive through the region struck by the tsunami on March 11, 2011. The wave reduced rows of houses to foundations in open fields and stripped the few resilient trees of branches up to the waterline. 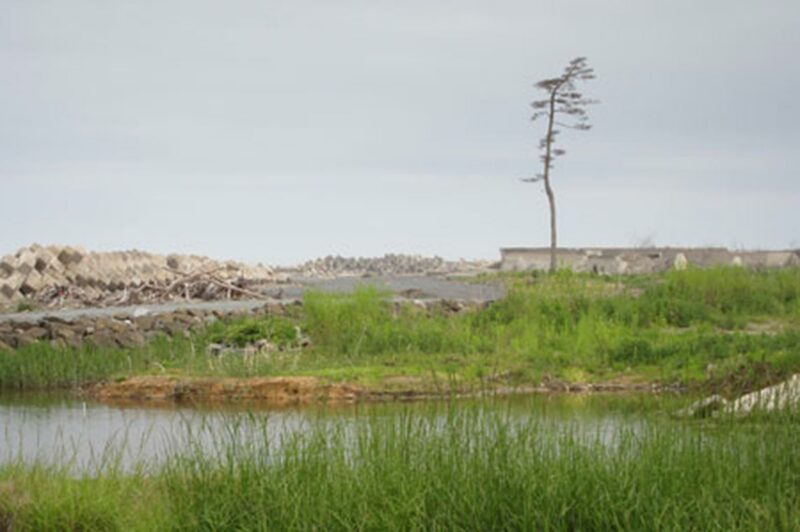 Gilgenbach noted the stark contrast between areas hit by the tsunami and those left untouched. “On one side of the highway, there are rice paddies, like before, but on the other side, the ground is still contaminated by sea water” and chemicals that the wave picked up from industrial plants, said Gilgenbach. 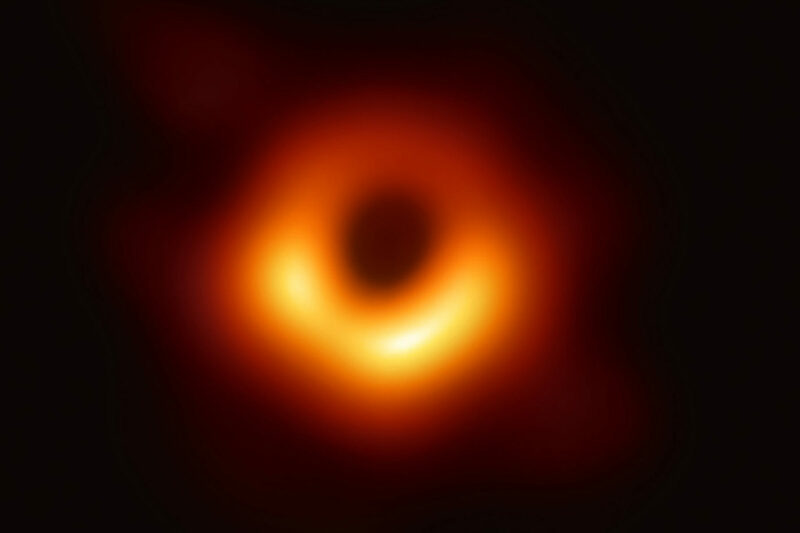 At Tohoku University in nearby Sendai, professor Keizo Ishii delivered the best news that Gilgenbach has heard about the radiation contamination. “The clay in the Fukushima prefecture’s soil is very good at capturing radioactive cesium,” Gilgenbach recounted, which means that the contamination didn’t penetrate very deeply into the earth. “By scraping up the top half centimeter of the soil and washing the out clay, Ishii has successfully reduced the cesium contamination.” Following his success bringing the radiation in a schoolyard down to a safe level, Ishii has funding from the Japanese government to scale up the method for decontaminating larger areas. Also at Tohoku, professor Satoshi Tadokoro demonstrated his rescue robot, which Gilgenbach described as “the best in the world.” Unlike an ordinary tank-like design, the robot has wheeled arms in front and back that allow the robot to navigate irregular terrain without flipping over. It typically carries an optical camera, but one of Tadokoro’s prototypes wore a radiation meter into damaged reactors at Fukushima, measuring the radiation levels on several floors of the buildings. 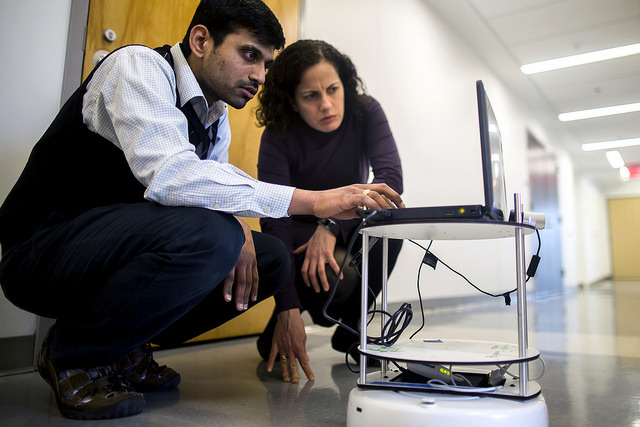 The gamma ray imager developed by He’s group is lightweight and compact enough to fit on the rescue robot. If Japanese and American government officials approve, Gilgenbach and He would welcome a joint project with Tadokoro’s group, combining the agility of Tadokoro’s robot with the radiation-imaging capability of He’s detector. In the future, gamma-ray-imaging robots may precisely map out the radiation in a contaminated site while allowing the operators to stay well out of harm’s way. “The city appears to have pretty much returned to normal,” Gilgenbach said of Fukushima City, which lies outside the exclusion zone that remains around the nuclear power plant. The plant, on the other hand, is still coping with three damaged reactors and four damaged buildings. Professors Yutaka Watanabe and Tetsuo Shoji, also at Tohoku University, told the group about their studies of radiation-assisted corrosion in reactor number 4. That reactor was not running when the earthquake struck. However, the building contains the most stored fuel of the four affected reactors, and since it is damaged, that fuel must be removed as soon as possible. While TEPCO, the company that owns the plant, develops the infrastructure it needs to safely extract and store the fuel rods, Shoji and Watanabe continue to study the integrity of the spent fuel pools to ensure that the water will safely cool the fuel rods in the meantime. “We were very impressed with our Japanese colleagues’ insights concerning the conditions in the nuclear reactors and fuel storage pools as well as their development of the science and technology to deal with decontamination,” said Gilgenbach. Picking up the pieces after an earthquake, tsunami and radiation contamination was never going to be an easy task. With luck, some of the new connections that the faculty made during their visit will provide a means for U-M nuclear expertise to aid in the recovery. Ron Gilgenbach is the chair of the Department of Nuclear Engineering and Radiological Sciences and the Chihiro Kikuchi Collegiate Professor. Zhong He is a Professor of Nuclear Engineering and Radiological Sciences. Yugo Ashida is an Assistant Research Scientist in the Department of Nuclear Engineering and Radiological Sciences.